planning a funeral for a baby born stillborn is one of the hardest decisions a family will have to make. choosing what prayers to use can also be quite tricky. 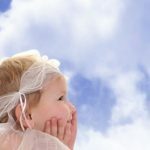 so here are some ideas you can freely use when planning a babies funeral. To look at the stars and know you are near, love lasts a lifetime and memories so dear, sleeping so tenderly is our little lady,sending hugs and some kisses to our sweet little baby. Dear God as you keep close near to you, tell her to be good as she stays there with you . Father God our baby is in heaven with you, you will love and cherish her so much like we do, we pray that the angels will teach her a new things and read her a story and do heavenly things amen. Dear God in whom we put our trust we pray you will strengthen this family at their sad time of loss. As baby …. is now in heaven above we prayer you will shower this family with your love amen. Due to the sensitive topic of talking about stillborn babies dying if you are looking for prayers on the internet there are many adult ones .these talk about memories created within a whole lifetime that families spent with their loved one.